With support from Google and Georgia Tech, FIU students aim to increase pass rates of the Advanced Placement Computer Science exam. Fewer than half of all high school students in Florida who take the Advanced Placement Computer Science exam pass the test. 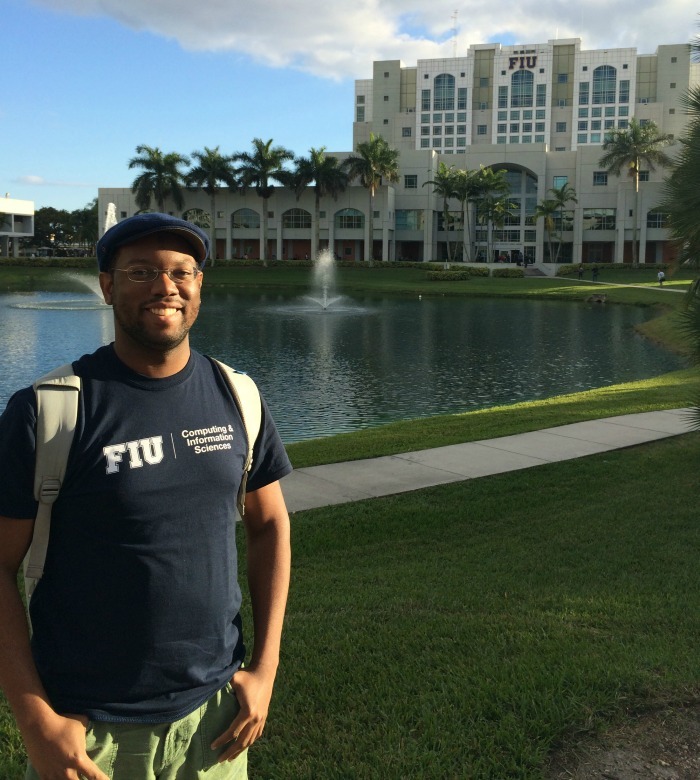 For Florida’s African American students, that number is even smaller. In 2013, 83 African American students took the exam; sixteen passed — only 19 percent. Google announced Feb. 2 that Georgia Institute of Technology is one of the recipients of the 2015 Google RISE award. FIU STARS (Students and Technology in Academics, Research and Service), through Georgia Tech, is one of the participating schools in the program. Together, they hope to increase Florida’s pass rate number. Google RISE Up 4 CS, funded by Google and facilitated through Georgia Tech, is aiming for more African American students nationwide to pass the AP CS exam, including South Florida. Through FIU STARS, Project Rise Up 4 CS will provide additional help to African American students in the form of twice-a-week webinars and monthly in-person, three-hour weekend sessions, using FIU undergraduate students as role models and mentors. There is also a financial incentive for the high school students who participate. Up to 25 students from Miami-Dade, Broward and Palm Beach counties will be enrolled in the program, which will officially kick off Feb. 8. Senior Franklin Abado says they will be teaching skills and programming to high school students. Franklin Abado and Xavier Thomas are the project’s co-leaders from FIU. Abado says, “This was a calling that I couldn’t say no to. I’ve seen firsthand how strong an impact there is in being there for someone. While Abado, currently pursuing his undergraduate degree in the College of Engineering and Computing, took an Advanced Placement exam in high school, it was in literature – not computer science. The 27-year-old from Davie went directly to work after high school but decided to go back to school to become an engineer. He feels his experience in the business world will be an asset when coaching the students. “We are not going to just teach them programming – we are going to teach them life skills,” Abado says. Senior Xavier Thomas is looking forward to helping high school students pass their computer science exam. 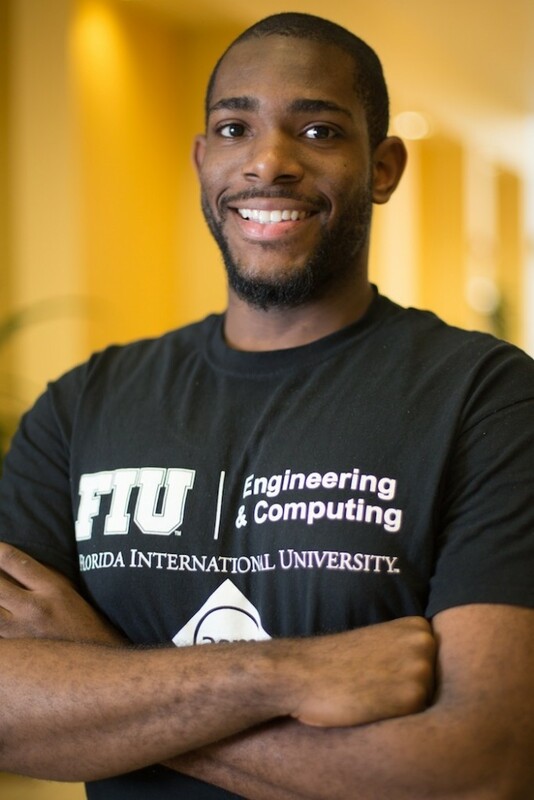 Thomas, a 22-year-old technology major from Ft. Lauderdale, did not take the AP CS exam himself when he was a high school student at Pompano Beach High School. “But I wish I had,” he adds. Pat McDermott-Wells, an instructor in the College of Engineering and Computing’s School of Information and Computing Science at FIU, will serve as the faculty advisor for Project Rise Up for CS. Any Afro-American high school students in the state of Florida who are enrolled in the AP CS course, including students in Florida Virtual School, are eligible. Students need to attend a minimum of four sessions to qualify for the stipend; distance students could attend only the webinars and still qualify. If you are interested in applying for Project Rise Up for CS, contact Pat McDermott-Wells at 305-348-2844 or stars@cs.fiu.edu, 954-800-3230.